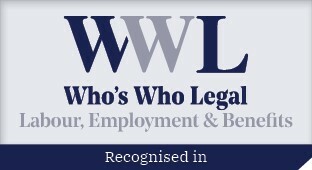 We offer legal services that include advice, courtroom and tribunal advocacy, negotiation, alternative dispute resolution, policy development and strategic planning. Below are examples of work we have performed for our clients. Successfully defended a school board client in a WSIAT appeal involving entitlement to benefits for mild traumatic brain injury. Engaged in Coroner’s Inquest into triple fatality in boating accident and response by Emergency Services. Successfully argued, on behalf of a school board, before the WSIAT that a worker’s appeal for ongoing entitlement to benefits should be dismissed on the basis that the worker had recovered from her work-related injury and that any ongoing symptoms were not related to the workplace. Successfully representing a private sector client in an grievance regarding the termination of an employee for threats of violence. 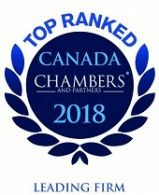 Advises clients regarding workplace investigations relating to, among other things, theft, harassment, discrimination, bullying, abuse, and violence. Regularly provides training on the use of medical marijuana in the workplace, workplace accommodation, workplace investigations, and workplace bullying and harassment. Successfully defended private sector employers in entitlement appeals at the WSIB and WSIAT. 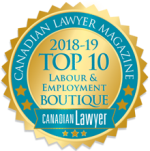 Successfully represented a school board in an appeal before the Workplace Safety and Insurance Appeal Tribunal, resulting in the Tribunal denying entitlement for loss of earning benefits. Ongoing representation of a police services board and a school board in multiple matters before the WSIB and WSIAT. Successfully defended numerous employers in appeals to the Workplace Safety and Insurance Tribunal.